XChat is an IRC chat program for both Linux (Open Source) and Windows(Shareware, 30-day trial). It has a choice of a tabbed document interface or tree interface, support for multiple servers and is highly configurable. Both command line and graphical versions are available. It allows you to join multiple IRC channels (chat rooms) at the same time, talk publicly, private one-on-one conversations. XChat is a full-featured IRC client with a GUI surrounding the basic chat window. It includes all basic functionality found in most other IRC clients, including nick completion, connecting to multiple servers, secure connections,CTCP, DCC file transfers and chats, and a plug-in system for various programming languages (including at least C or C++, Perl, Python, Tcl, Ruby, Lua, CLISP, D, and DMDScript. Plugins allow extending the features and customization of the functionality of XChat. XChat runs on the following operating systems: GNU/Linux, FreeBSD, NetBSD, OpenBSD, Solaris, AIX, IRIX, Mac OS X, Windows 98/ME/NT/2000/XP and others. Support for 98/ME was dropped from the official Windows build. 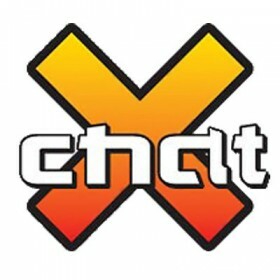 XChat is included with GNU/Linux distributions such as PCLinuxOS. The default view for the client window is referred to as "tree view", but can be configured for a tabbed interface for multiple simultaneous.